Need some fresh and easy kitchen style ideas? 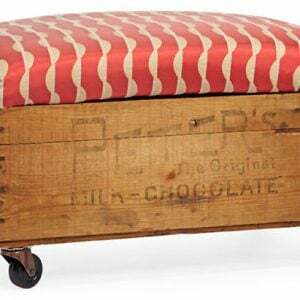 I think we would all like to bring a little more charm into this utilitarian space. 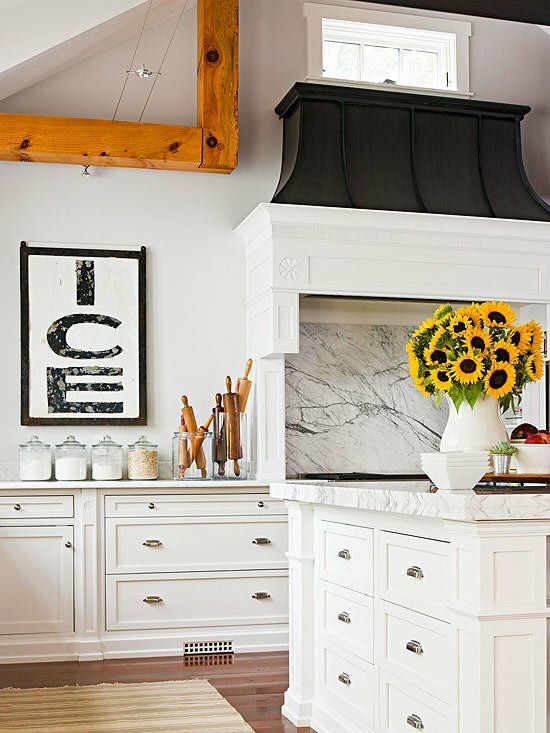 Here are a few easy kitchen decorating ideas to add some style to your kitchen while saving some cash. Paint, paint, paint! For years people believed utilitarian spaces should remain white for cleanliness issues, but we no longer live in the dark ages. (Cleaners work just as well on colored walls!) 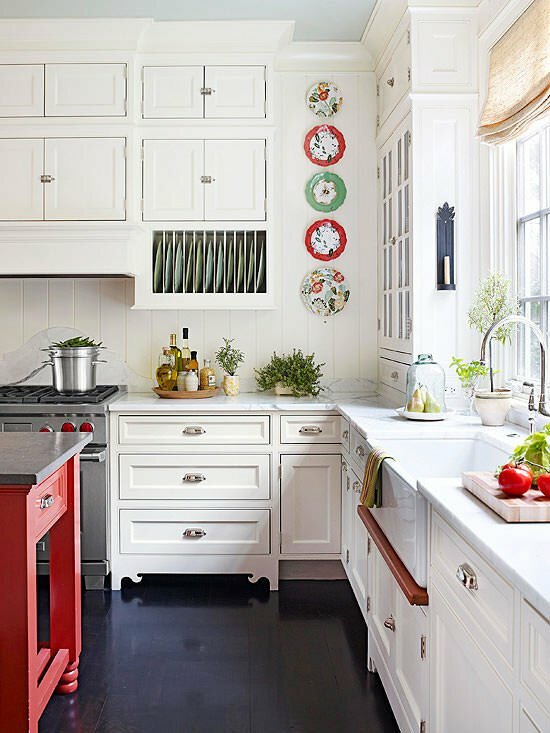 Use color to add richness and depth to your walls, cabinets, and even your counters and floors. Paint can be used on those surfaces be first prepping with a specialty primer, then sealing with 4-6 coats of Polycrylic or any water based polyurethane product. 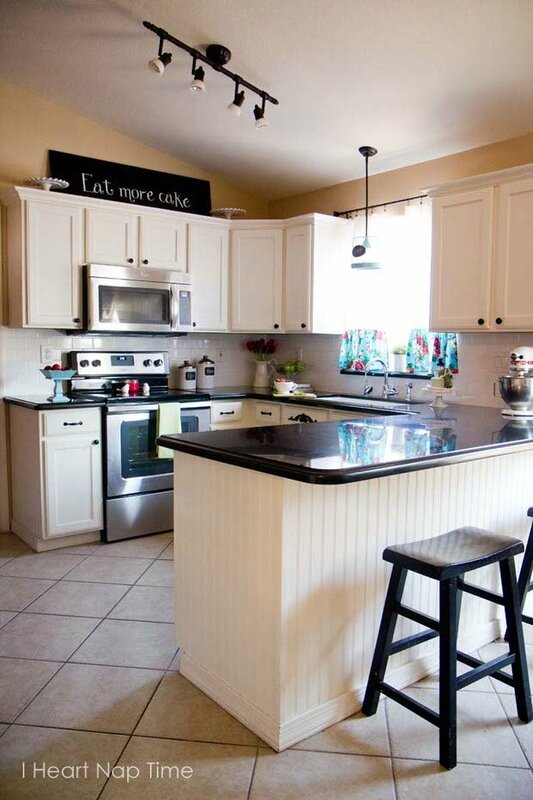 Learn how to paint kitchen cabinets from ‘I Heart Naptime’! 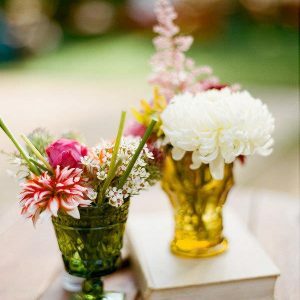 Bring in a pretty floral or striped fabric. 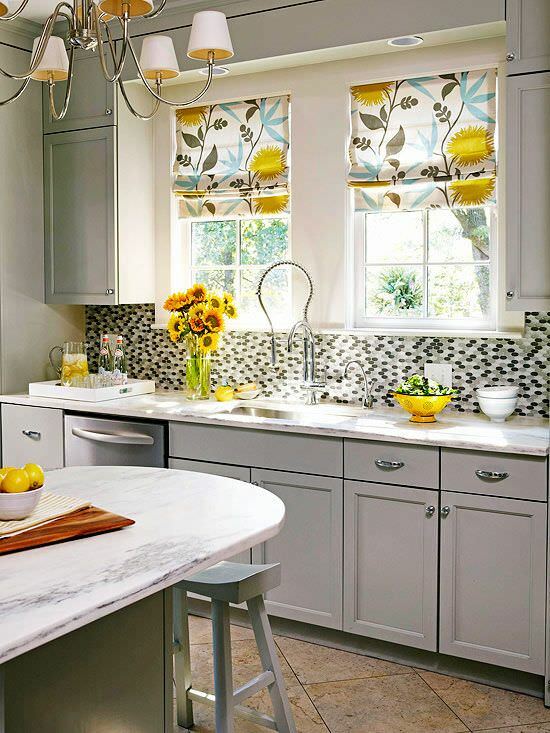 Nothing screams “freshness” like florals and stripes, and its easy to stitch up a simple curtain, valance, or placemats to add pattern and color to the room. Find out how to make DIY roman shades from Decorating Your Small Space! Decorate with plates. You may already have a collection of pretty plates you’d like to display, or you can visit your local discount store for some great finds. Hang them on the backsplash, group them on tops of cabinets, or use plate hangers and make a wall grouping over a doorway or breakfast area. Pick plates that share your rooms’ chosen color scheme. Texture, interest, and color, and you might already have them right in your cupboard! Need more ideas for decorating with plates? 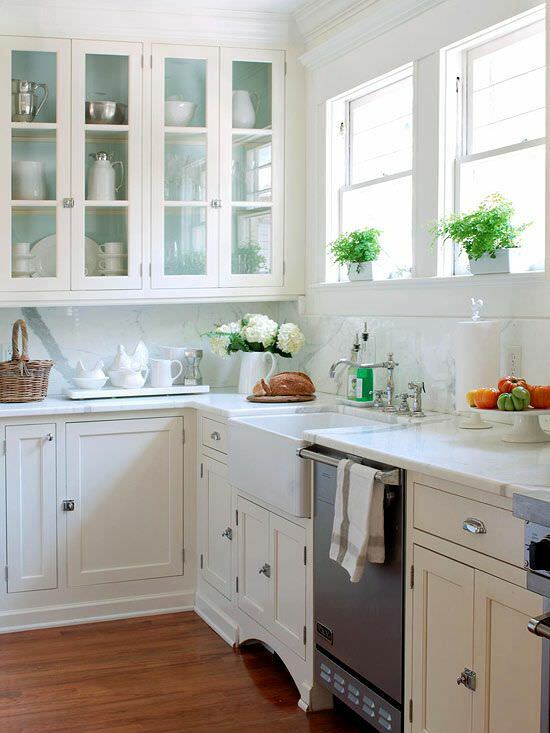 Remove some cabinet doors to break up the space and add interest. 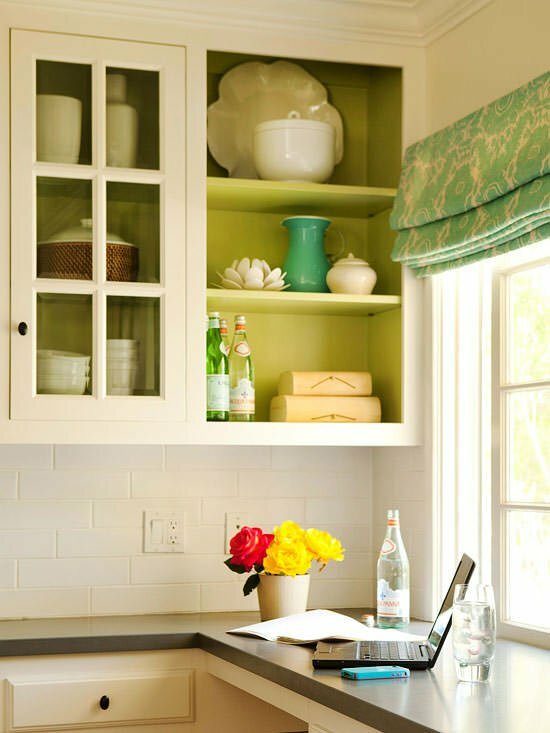 You can either paint the inside of the cabinet and use it as a display for pretty service pieces, or you can use an inexpensive tension curtain rod and some of that pretty floral or striped fabric to make a charming cabinet door cover. 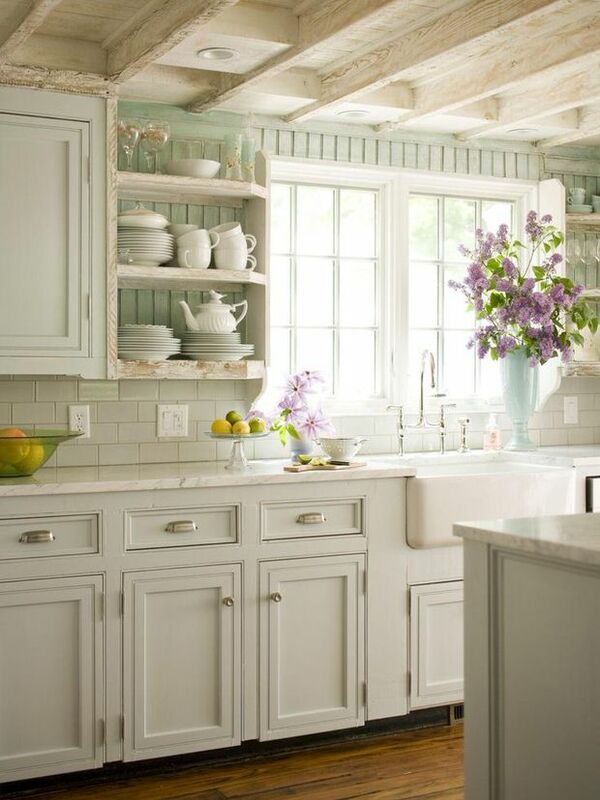 Or, you can remove an entire cabinet and use open shelving in it’s place for an updated but vintage look. Finally, bring in some personality. Set some pretty frames from the dollar shop on the counter with those smiling faces you love, or paint a sign on a weathered piece of wood with an inspirational word. Frame seed packets in dollar shop frames for a lovely spring touch, or use your mothers milk glass pitcher as a utensil holder. Make things in the space you use the most meaningful, memorable, and beautiful to you and yours. Thanks for sharing your thoughts on easy kitchen style. These are great ideas! I love the kitchen ideas the most. as I’ve been afraid to experiment with color, bit my Grandmother had a blue and white kitchen with yellow accents, a sunny yellow. It was the color of the curtains, the upholstered chairs, some trim, and a few knick knacks – but it was not a greenish yellow, it was a pure sunny yellow, which accented the blue and white wonderfully! These kitchens remind me of that great time in my life, when I wa a kid. So well done, and thank you!! Hi, the kitchen looks amazing! I am trying to look for nice bright sunny fabric like the one you show with the yellow, blue floral roman blind. What website can I get that fabric from? Thanks.